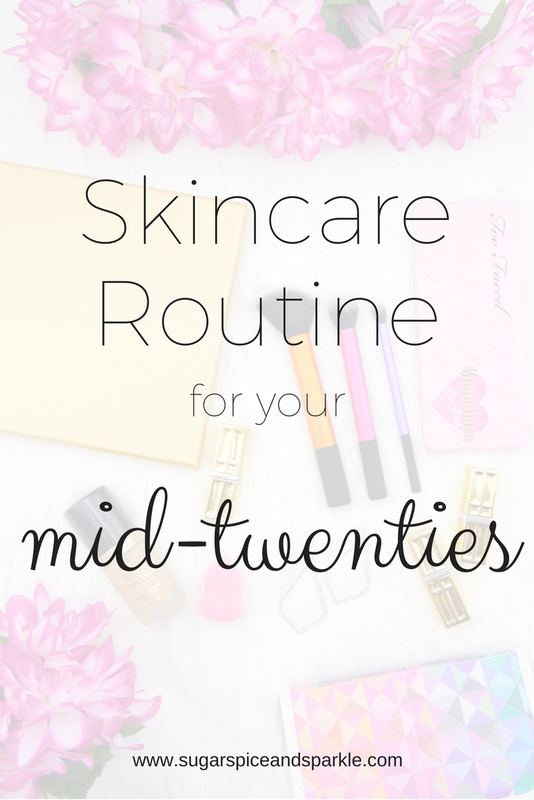 They say your skin changes in your twenties. I haven't seen drastic changes (TG!) but I do feel like my skin fluctuates more than it used to. At certain times of the month... my skin gets more oily and blemishes appear. Usually I would say I have normal skin (aka not dry, not oily) and around my nose is definitely my problem area. Skincare is something I really love and enjoy trying out new products but it's always nice to know I have my go to products that will keep everything the way it should be! 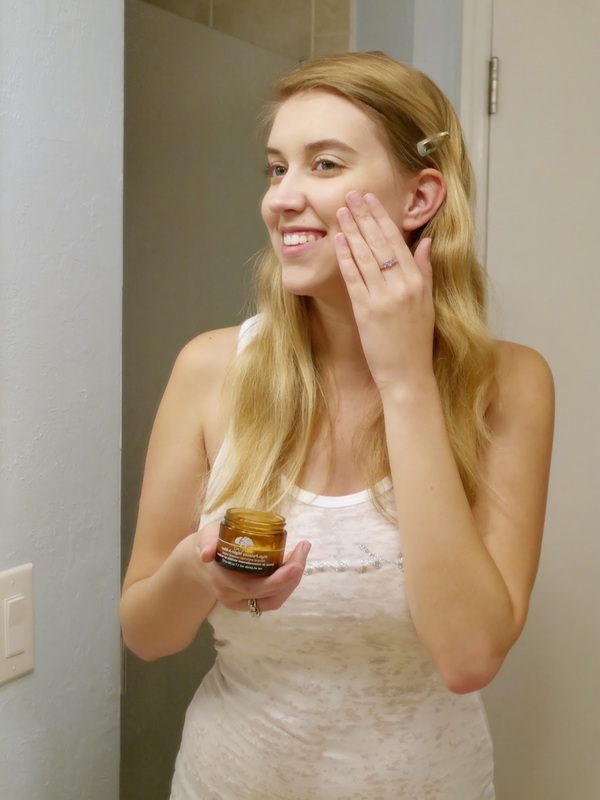 I've partnered with Trufora to bring you my skincare routine - perfect for anyone in their mid-twenties specifically, but really I think these products are great for anyone who has slightly sensitive, dry to normal skin. First up, cleansing and exfoliating. I love Purity face wash because it is gentle but really removes makeup well. I use my Clarisonic Mia 2 about twice a week to keep my pores clear. 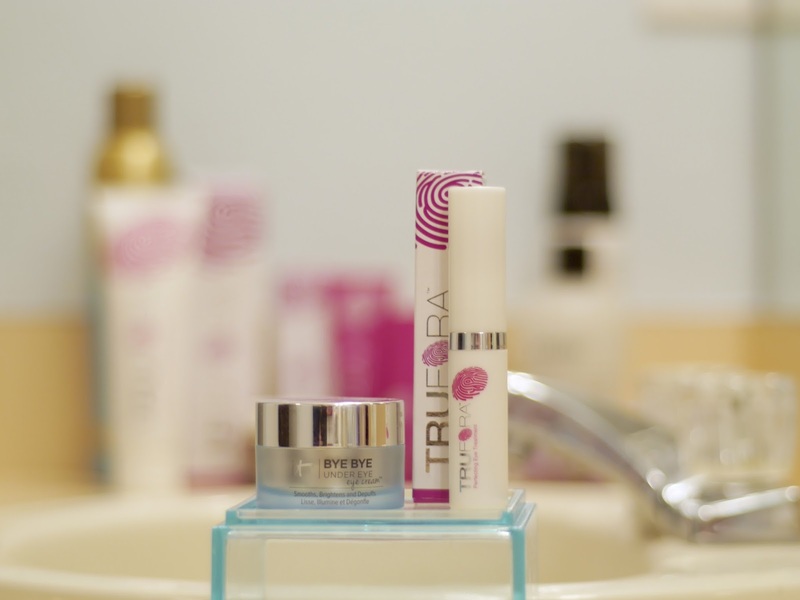 Once my pores are nice and open I like to quickly apply my Trufora Night Serum. 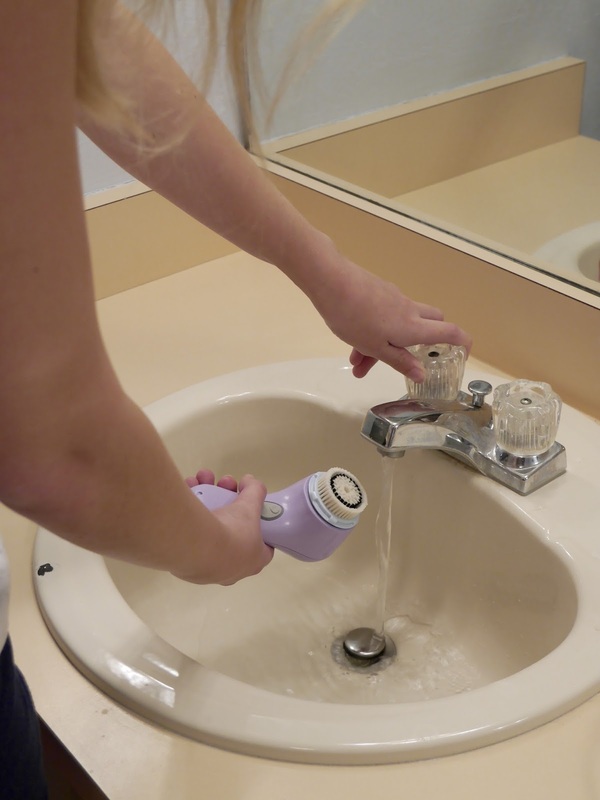 It absorbs quickly and protects skin from harmful environmental factors. Plus it is anti-aging! Trufora products are vegan and I love that you can see a full ingredient for their products on their site. I just could not pick my favorite eye cream as I like to switch back and forth between these two fabulous products. First is the Trufora Perfecting Eye Treatment. I love to apply this because the cooling metal tip applicator feels so good on my under eyes and truly helps with puffiness. I suffer from dark circles under my eyes and this product really helps combat that. 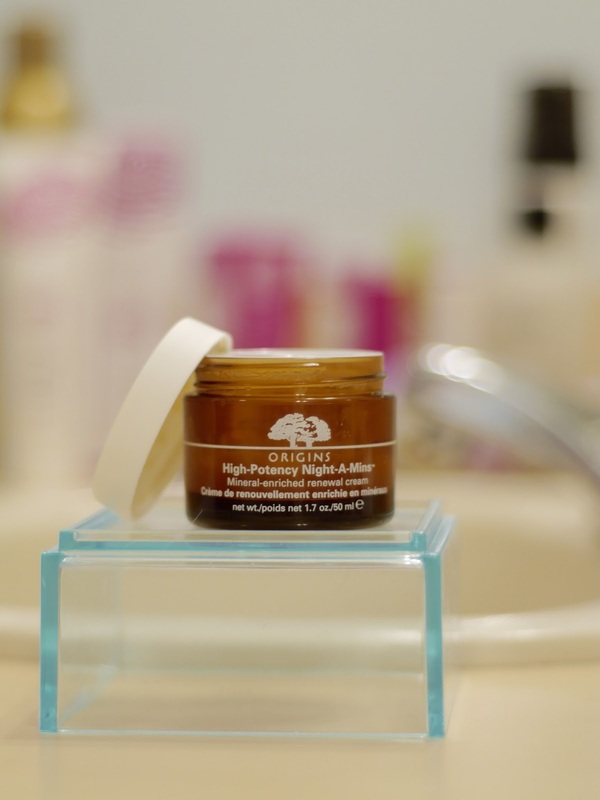 This eye cream also has anti-aging ingredients that help with those pesky fine lines. Second is the Bye Bye Under Eye Cream from It Cosmetics. This one also reduces puffiness and helps reduce the look of my dark circles. I like to put this one all over my eye area to wake up feeling refreshed and awake! The final step is to apply my night cream - Origins Night-A-Mins. You might have heard of this one before and it is worth the hype. No matter how dry my skin is feeling I apply this at night and wake up with hydrated skin. It smells amazing, feels amazing, and will leave you looking amazing! Don't forget to check out all of the amazing Trufora products! If you would like a coupon for $20 off just leave a comment below with your email (or email it to me) and I will send one your way!